Netflix's best subscriber growth in three years helped send the stock soaring in after-hours trading. Netflix's blistering rate of growth continued in the fourth quarter of 2013. More than 2.3 million new American households signed up for the streaming service, its best quarterly performance in three years. In international markets, including Canada and Latin America, the service gained another 1.7 million subscribers, allowing Netflix to surpass the 10 million mark overseas for the first time. Overall, Netflix ended 2013 with over 44 million members, the company said in its quarterly letter to shareholders Wednesday afternoon. Neflix's (NFLX) subscriber totals came in ahead of many estimates, causing the stock to rise sharply -- about 16% -- in after-hours and pre-market trading. Netflix's revenues were $1.2 billion in the quarter, up from $1.1 billion in the prior quarter, reflecting gains during the holiday season. Its net income was $48 million, up from $32 million. Room for growth: For months now, there has been an active debate in media and investment circles about how big Netflix may or may not become. On Wednesday the company projected a gain of another 2.25 million subscribers in the U.S. and 1.6 million internationally in the first quarter of the year, which in both cases would improve on its first-quarter performance last year. In their letter, Netflix CEO Reed Hastings and Chief Financial Officer David Wells called that a "great outcome," because even with 33 million members in the United States, the copmany still has "years of member growth ahead." They attributed the fourth quarter's subscriber uptick to "service improvements, marketing effectiveness, and sales of Internet connected devices." According to the company's quarterly filings, the last time it gained more than 2.3 million American subscribers in a quarter was during the first quarter of 2011. Back then, it added 3.3 million subscribers, but the comparison is inexact because its streaming and DVD-by-mail services were still linked. International expansion: Outside the United States, Netflix continued to operate at a loss due to expansion efforts, but it lost less in the fourth quarter -- $57 million -- than at any other time in 2013. The company projected that it'll lose $42 million in the first quarter of this year. Confirming the suspicions of some investors, Hastings and Wells said Netflix plans later to launch a "substantial" European expansion later this year. "Our success this year in international net additions and shrinking contribution losses confirms our belief that there is a big international opportunity for Netflix," they said. New pricing strategy: The executives also updated shareholders on the company's experiments with tiered pricing. Last spring, Netflix started to sell a $11.99 plan that allowed up to four family members to stream at the same time. More recently it started to test a $6.99 single-stream plan for new customers. Hastings said on a Wednesday afternoon conference call that Netflix is "probing around the edges" about the best pricing structure for the streaming service. "We're trying to figure out some models of good-better-best price tiering that make sense and provide some flexibility for our customers, at least for our new customers," Hastings said. He and Wells emphasized in their shareholders letter that they're not in any hurry to raise prices or make other changes. They added that if the company does change the pricing structure, existing members would get "generous grandfathering of their existing plans and prices." That means the company appears to have learned from its Qwikster disaster, when it separated the DVD-by-mail and streaming services, in effect hiking prices dramatically for many customers. But the grandfathering strategy also means any future price hikes would result in "no material near-term revenue increase," the company said. Net neutrality: Wednesday's shareholder letter also included Netflix's first comments about net neutrality since a federal court ruled that the government doesn't have the right to regulate how Internet service providers deliver websites like Netflix. 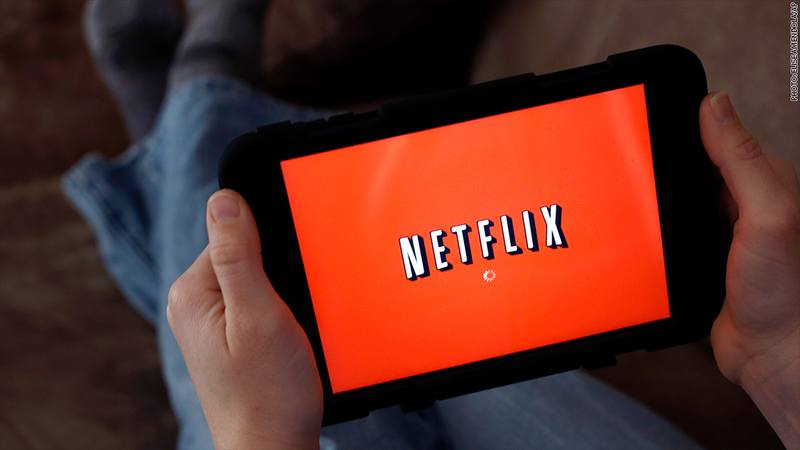 Hastings and Wells said that, in principle, an Internet service provider "can legally impede the video streams that members request from Netflix ... to get Netflix to pay fees to stop this degradation." They indicated that they'd "vigorously protest" that if it happened, but predicted that it won't because broadband providers "don't want to galvanize government action" and do want to sell higher-priced, higher-bandwidth packages.